I was one of many who failed to get tickets to Radiohead’s show at the Roundhouse this May – the alt-rock band’s first UK show in almost five years. At 9.a.m sharp, I was placed behind a queue of thousands of frantic fans trying to buy the same tickets. After refreshing the page, I was placed at 16,239 in the queue. Five minutes later, I gave up. Radiohead are a very popular band, with loyal fans worldwide. So I guess I should’ve expected this. Learning about the prices of second-hand tickets later was disturbing to say the least. Many were being resold at £1,000 or more – over £900 greater than the starting price of just £65, which goes far beyond almost any student’s budget. ‘Touts’ is the name given to people who make these enormous profits – they buy tickets to events they have no interest in, then resell them at a much higher price to desperate fans. 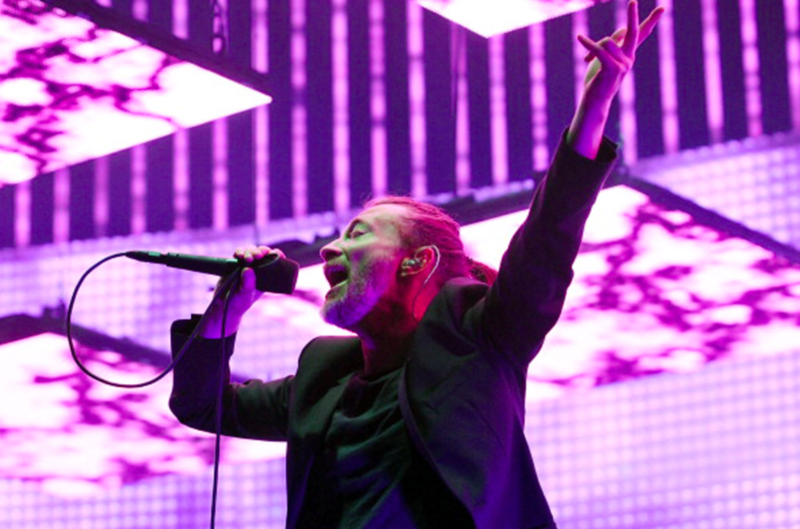 “I’m as fucked off as you are,” tweeted a miffed Thom Yorke upon hearing the news. Despite this apparent self-righteousness, there is a chance the band knew this would happen and that they would profit from it. The band have not performed in the UK since 2011’s Glastonbury festival. Their presence has been lingering in the music scene since the start of this year, with mysterious rumours of a new album as well as the release of ‘Spectre’, intended (but not picked) for use in the new James Bond film. They publicised themselves in the enigmatic way that fans of obscure music love, before ‘suddenly’ announcing three consecutive nights in London’s hipster capital, Camden town. With a fanbase like Radiohead’s, these tickets were bound to sell fast and hard. 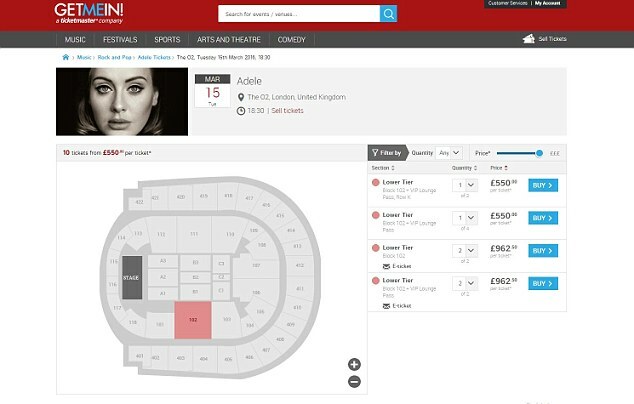 Another recent example of touting is Adele’s 2016 tour, announced around the Christmas period in 2015. With starting prices ranging between £35 and £95, some resale tickets were bought in excess of £5,000, with one exceptional pair of tickets being sold for £25,000. These kind of prices are out of the question to most – and exploit the passion and devotion of those lucky enough to afford them. But enough with the conspiracy theories and cynicism; there are various ways this problem can be tackled. Adele, as mentioned earlier, has put up more of a fight than others against this, promising to refund some of these tickets to fans (whether she delivers or not, who knows). She also barred likely ‘touts’ from buying her pre-release tickets, which allowed an extra 36,000 genuine fans to buy tickets. This move lost her an estimated £29,000,000 profit, showing that there are some popular musicians willing to forgo some of their revenue, albeit a tiny percentage of their total. For Adele’s tour, the two legitimate sales sites – Ticketmaster and Ticketfactory – said that they would only allow entry of the person who originally purchased the ticket into the event. If such a policy were maintained in the long-term it could help reduce touting, but having being introduced so quickly, many people didn’t realise this – they bought expensive second-hand tickets and were refused entry. Touting isn’t just a problem at concerts, but at many other events too. The tennis event Wimbledon has introduced a number of measures since 1990 to reduce the prevalence of touting. Tickets can only be brought from authorised vendors, and the resale of most purchased tickets is forbidden. Such principles could be applied to other large and popular events, which are most at risk. As well as looking to ticket vendors, event organisers and performers themselves, there are measures that the general public can take to fight back. Stereoboard is a website that buys tickets from people who are no longer able to attend the event for which they have tickets. These sellers are more concerned with not letting their ticket go to waste than with making a profit, thus the tickets here are always below face value. If anyone has a ticket they can’t use, then they should be urged to do this and refrain from being more greedy. Whilst sites like Stereoboard are helpful for genuine fans, touting will still continue to occur unless reselling tickets at face value or below miraculously becomes the norm. The sports and arts should be something that everyone has a chance to enjoy – if the people running these events want it to stay that way, it’s time for much tougher regulations.